Welcome to Scoreboard Automotive Sales and Leasing. Be sure to visit our virtual showroom of inventory available for purchase. 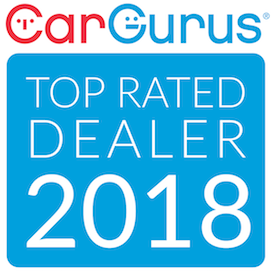 There you will see detailed information about each vehicle, a picture gallery, as well as convenient ways to contact us for more information about that vehicle. We are located at 527 N Central Ave in Eureka, MO and are available by phone at 636-549-9300 . You can also get driving directions and hours of operation from our user friendly website. Blake comes from a long career in the Automotive Industry. Blake grew up in a dealership from the age of 11 years old, so the industry was born into his blood and still pumping some 27 years later. After a long career in sales, managerial positions and running a few Franchise stores he decided he wanted to go out on his own and give customers the experience that he had instilled in the dealerships he helped run successfully. No longer wanting to sit in a big city franchise store until 10pm at night waiting for cars to be sold and missing out on his children growing up. In what was just short of 90 days he had developed a Pre-owned store with affordable good cars due to low overhead, a catchy slogan and were able to meet many of their personal needs as well as their customer's. So if you haven't checked out Scoreboard Automotive you owe it to yourself to call or stop by and meet Blake and his wife Michelle and see what they've created!